Authors Connecting Workshop is a program designed to emphasize the importance of literacy and how culture can influence education, as well as one’s world view. Authors engage in workshops allowing participants to ask questions and attend a reading with the author. The program is targeted to interact with children. At the end of the session, books will be distributed to encourage a love of reading. Authors Connecting is a program designed to emphasize the importance of literacy and how culture can influence education, as well as one’s world view. 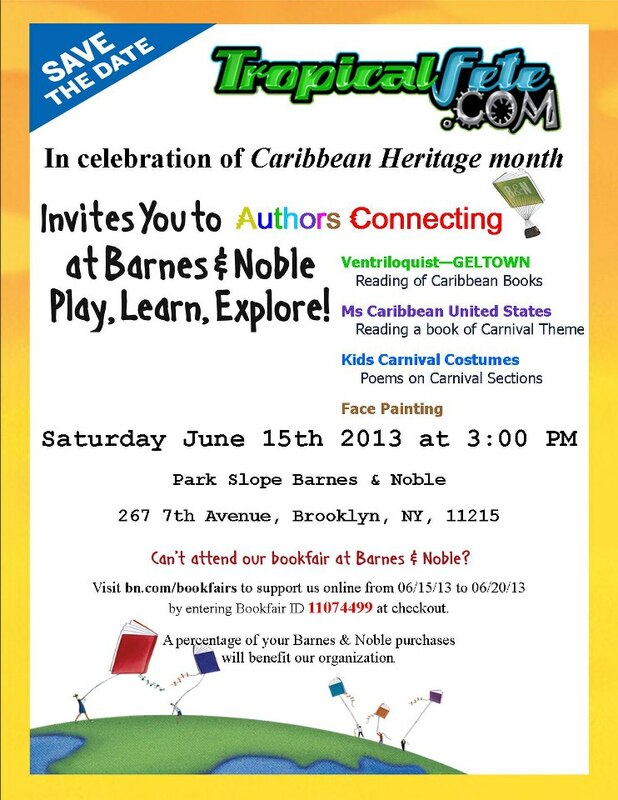 The program is targeted to interact with children and celebrate our great Caribbean culture. by entering Bookfair ID 11074499 at checkout.